I am going to binge all of Robert Greenberg’s courses. His enthusiasm is matched only by his thoroughness. 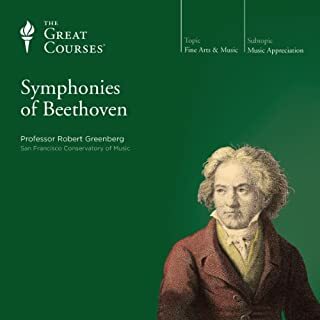 If Beethoven or the act of composition is a subject that interests you,then I cannot recommend this course strongly enough. Dr. Greenberg speaks about the music technically, as well as putting its composition in historical context, which renders the music all the more awesome.